The project is inspired by Patrick Hennessey’s magnificent still life painting from the permanent collection of Limerick City Gallery of Art. 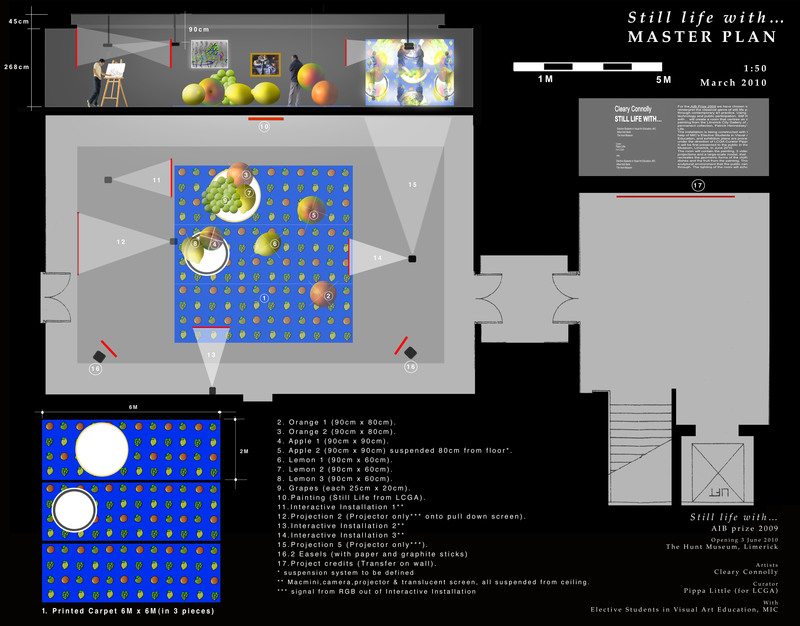 Still life with... reconstructs the original still life as a 3 dimensional set, inviting the spectator to step right into the painting. 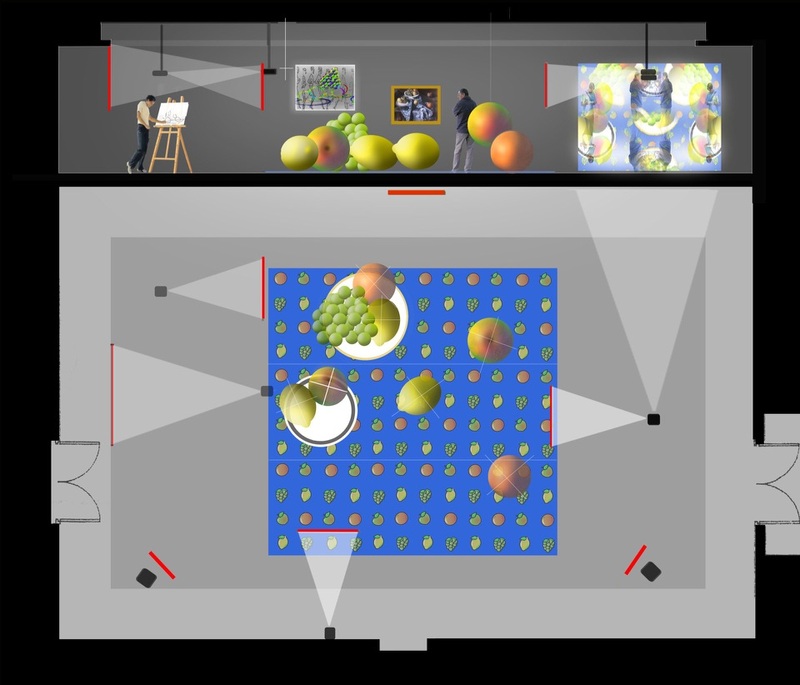 This giant Still life then passes back into two dimensions, this time as video: three interactive video projections surrounding the set allow the visitor to become part of a series of ever changing new digital Still lifes, contemporary interpretations of the classical painting genre. 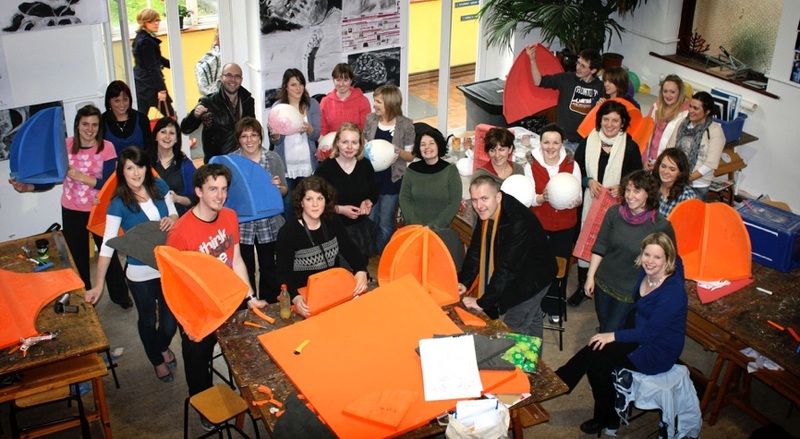 The installation is being constructed in Limerick throughout the winter and spring of 2010. 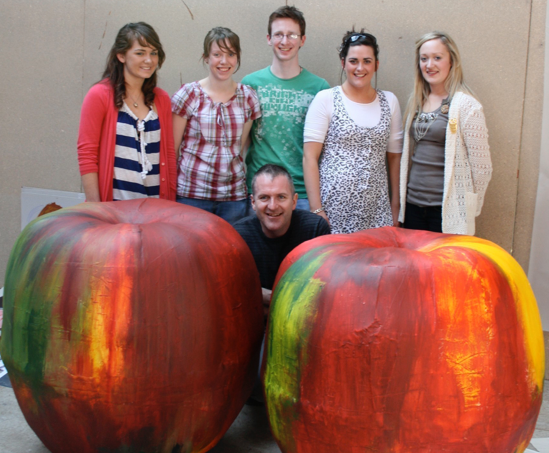 Eighteen young student teachers - from Mary Immaculate College at the University of Limerick - are busy building the giant fruit that will form the heart of the installation, while we ourselves are elaborating three interactive installations that will interpret movement and stillness. We hope—through this ground-breaking project—to push the boundaries of educational models for cultural projects, and so the choice of working with final year student teachers was a judicious one. The project will impact not only on the young people directly involved, but will resonate on future generations of children through the experiences gained by their teachers. Once installed, Still life with... is as much about what is moving as what is still. 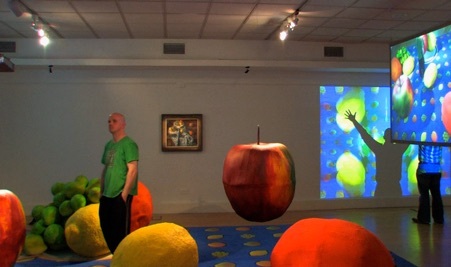 The interactive video projections study moving bodies - people - and how they interact with the still objects of the installation. Meanwhile easels invite visitors who might prefer a more traditional approach to take up a pencil and draw their own still life. 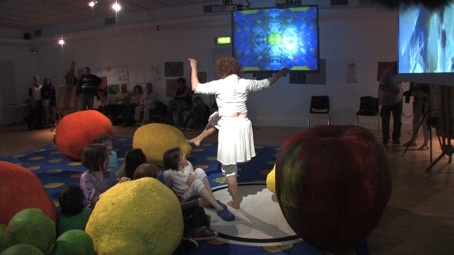 Depending on the visitor’s reaction, the exhibition can be a drawing exercise, a performance, a dialogue between old and new, a reflection on pictorial space... or simply a game. Above: Plan and section of the installation. 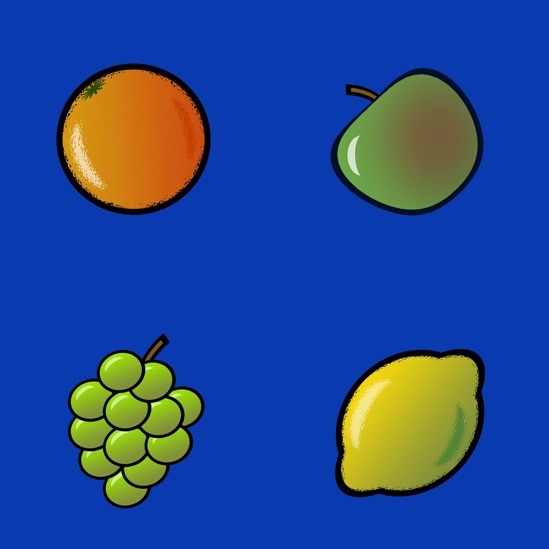 Below left: MIC students working on the construction of the fruit. 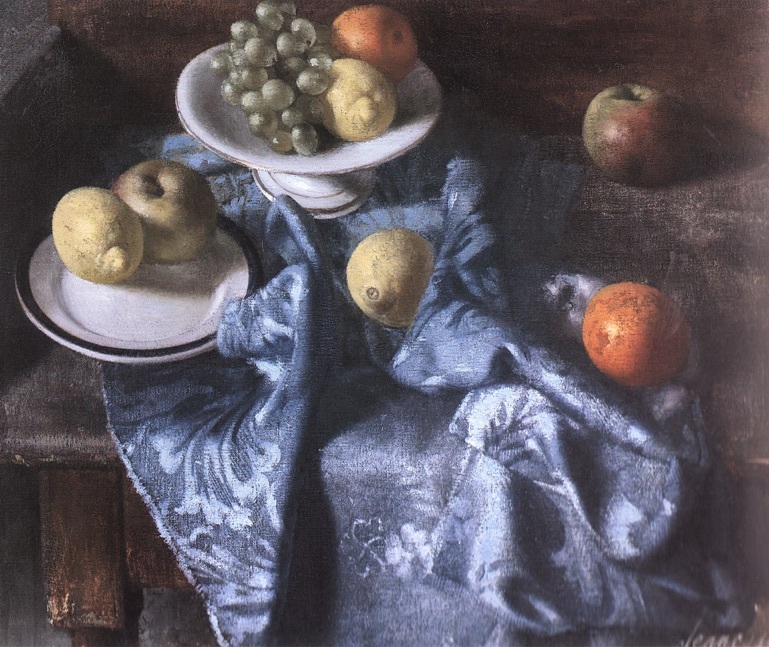 Below right: Patrick Hennessey’s Still life from LGCA permanent collection.